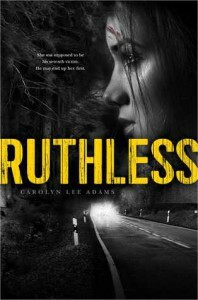 Ruthless - Read. Travel. Learn. It was very action pack and thrilling! Although I felt like there's something missing about the "Wolfman's" personality. This book is more focus on the victim and I don't have any problems with that, I just hope that the author gave us more insights about the the "Wolfman" and more reason to hate him. Also, I didn't know the reason behind the extra chapters. I don't think they were necessary. All in all, it was a good read and I enjoyed it.